The Rosca de Reyes at La Mexican Friday, Jan. 5, 2018, in Edinburg. 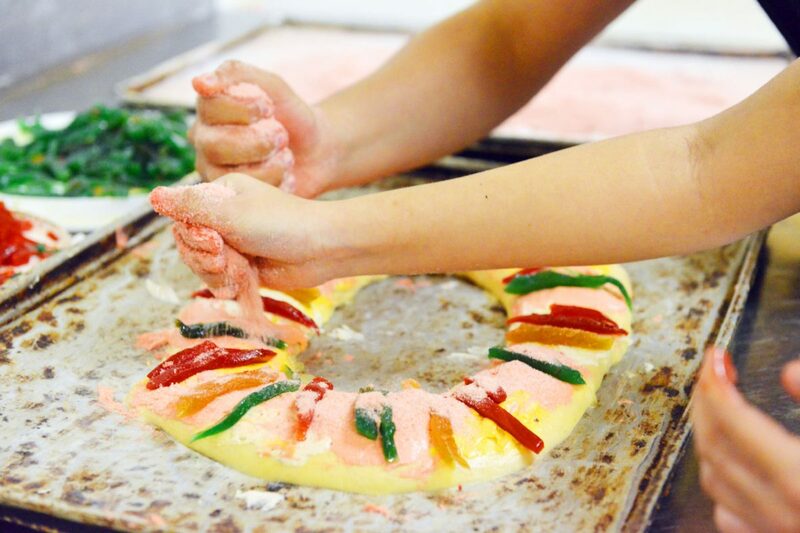 The ring-shaped Rosca de Reyes is a sweet round, cake or oval shape Mexican bread, decorated with slices of crystallized or candied fruit colors. The King cake is also called: biscuit, cake or sweet bread to celebrate the three kings. It is important when you cut a slice, that on both sides of the rosca, does not appear the figure of the infant Jesus that is hidden under the cake. EDINBURG — Bakeries across the Rio Grande Valley every year have to make extra room in their ovens for a unique item on the menu this time of year. La Mexicana Bakery, located at Veterans Boulevard and Sprague Street, is no exception. In addition to making sweet bread on a daily basis and filling specialty cakes orders, employees at the bakery become even busier when the holiday season arrives. The family owned business, which has deep Mexican roots, wants to keep the recipe of the cake associated with this season true to Mexican tradition. Jan. 6 is an important day in Christian tradition, particularly in Latin America. The day is referred to as El Dia de los Reyes or Three Kings Day. It is marked as the end of the 12 days of Christmas when the three wise men arrived in Bethlehem bearing presents for the infant baby Jesus. At La Mexicana Bakery there are two different types of Rosca de Tres Reyes. 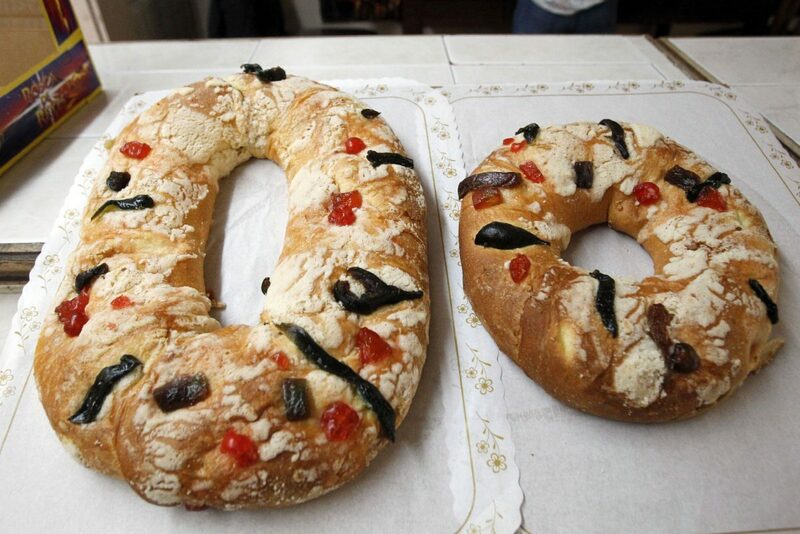 Roscón de reyes or rosca de reyes (kings' ring) is a Spanish and Spanish American king's cake pastry traditionally eaten to celebrate Epiphany. ... It is traditionally eaten on January 6, during the celebration of the Día de Reyes (literally "Kings' Day"), which commemorates the arrival of the three Magi or Wise Men is seen here Friday, Jan. 5, 2018, in Edinburg. Veronica Acosta places fruit topping on a cake Friday in Edinburg, taking care that it not fall off before it gets put in the oven. 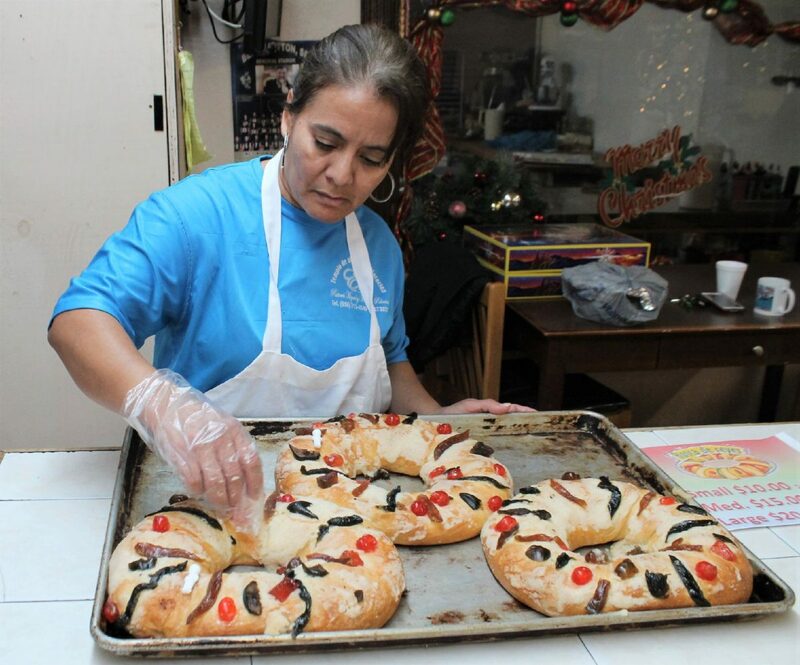 A Rosca de Reyes is prepared at Ayala's Bakery in Brownsville Wednesday in preperation of Dia de Los Reyes this Saturday. Dozens of Rosca de Reyes boxes are seen at Ayala's Bakery in Brownsville. 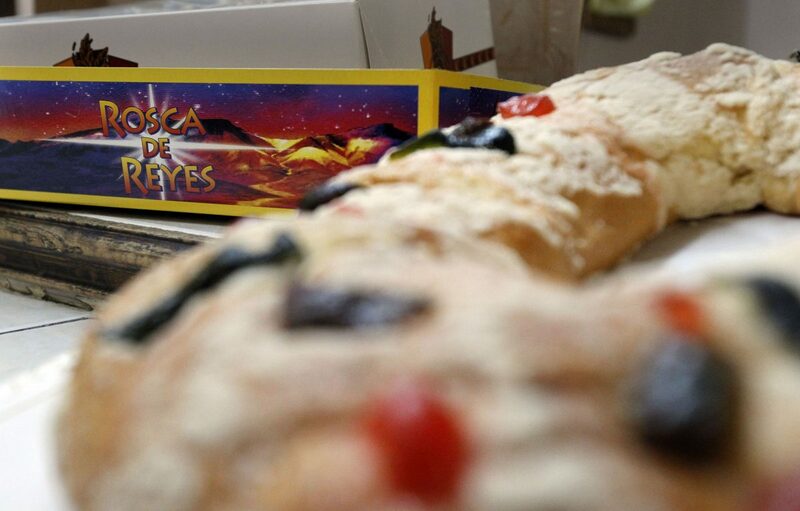 In addition to exchanging gifts on this special day, a culinary treat is also involved, which is known as the Rosca de Reyes or King’s Cake. 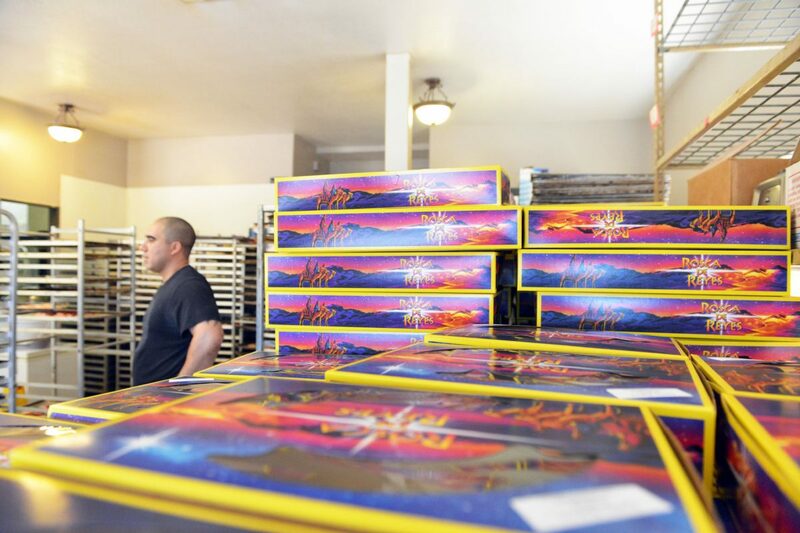 Hector Davila, owner of La Mexicana Bakery, said he has been making king’s cakes for more than 25 years. 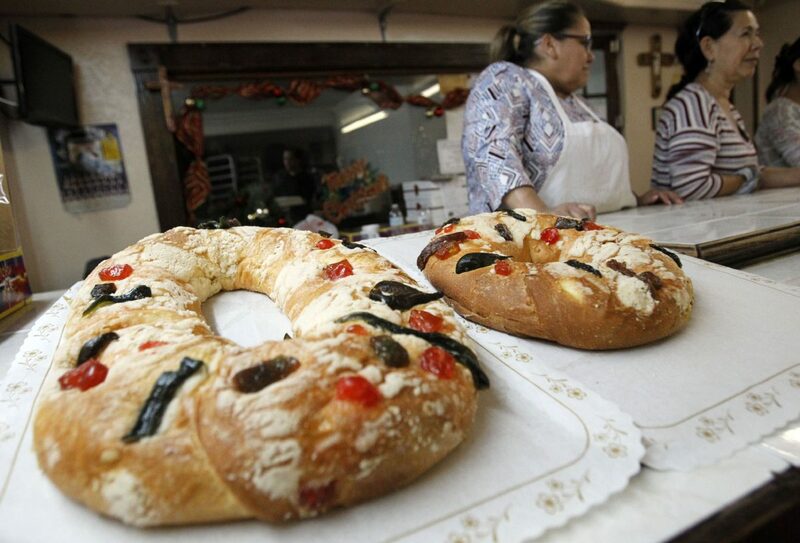 The Rosca de Reyes is rectangular, ring-shaped sweet bread that represents the infinite and never-ending love of God. The king’s cakes also have colorful fruit toppings that contain dried fig strips, which symbolize the crown jewels; it also has candled lemon peel slices, chopped candled cherries along with hidden surprise of the plastic dolls — meant to represent the baby Jesus. This year the bakers at La Mexicana began preparing a week in advance, starting last Saturday. According to tradition, those who participate in the Rosca de Reyes and receive the baby Jesus figurine must host a party for the occasion on Feb. 2, which is known as Dia de la Candeleria, or Candlemas Day, which falls 40 days after Christmas Eve.